What if the person you were looking for, the one with all the answers, the one who could help you feel better and give you direction was…you? We spend so much of life looking for someone to give us permission to live. To tell us what the right path is or verify that we’re on it. Someone to give us permission to be ourselves and take action aligned with our essence. We just want someone to tell us it’s all going to be okay. A teacher. A guru. Teachers, guides, mentors, they’ve all got value, but what about you? 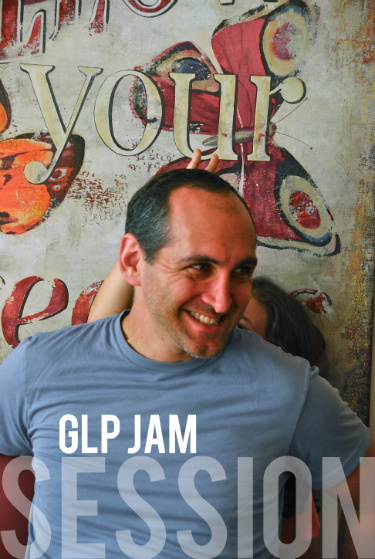 That’s what we’re talking about in today’s GLP Jam Session. Watch above, listen below and be sure to never miss an episode, just subscribe and listen on iTunes. P.S. – We’ve got a great “7 Questions With…” series running over on the GLP Facebook page. First up was GLP founder, Jonathan Fields, and this week, we’re featuring podcasting phenom, John Lee Dumas from Entrepreneur On Fire. Go check them out.